Maserati is known to automobile fan as one of the finest sports/race car manufacturer. To define its work, Alfieri Maserati and followers in Modena, used these terms:”Class, style, modesty and superb craftsmanship are part of its virtues.” While handling and performance were regularly superior to its rivals, the emotional approach lead to a lack of organization and management often prevented ultimate success. 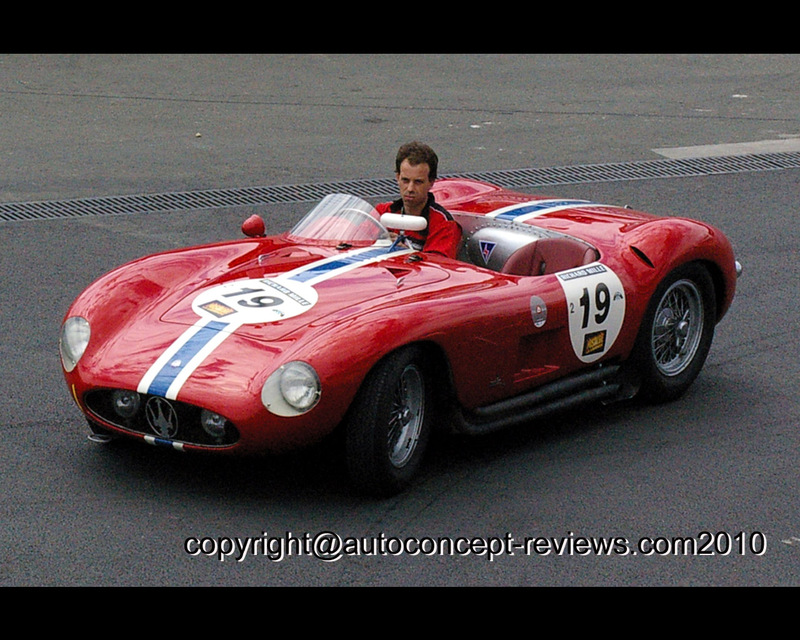 The Maserati A6GCS was highl succesfull in 1954 and won 24 important European events. 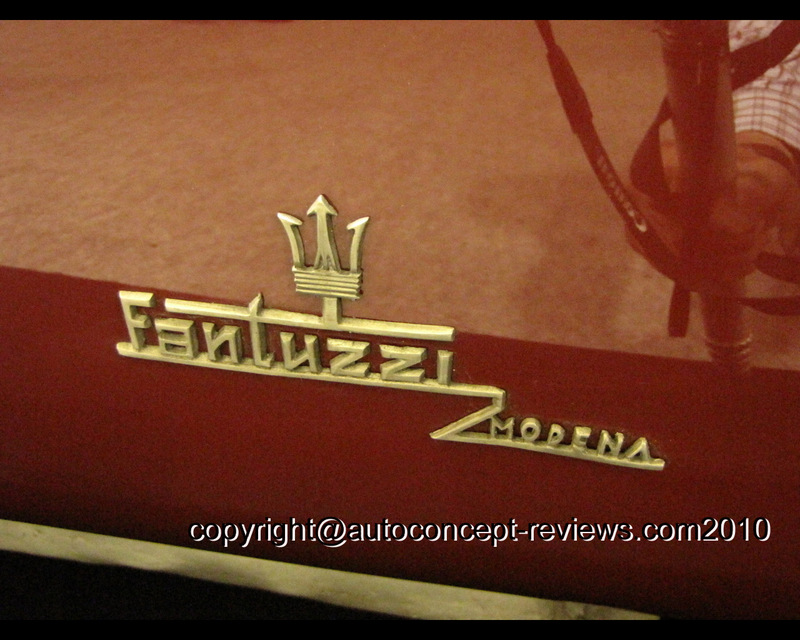 Nevertheless, it became obvious that Maserati needed a more powerful car to compete with the 3 litre 750 Monza Ferrari. The 6 cylinder 2992.5 cc twin plug engine was a development from the 250F Grand Prix car (Formula 1), a new 4 speed ( and upcoming 5 speed) transverse gearbox was developped. 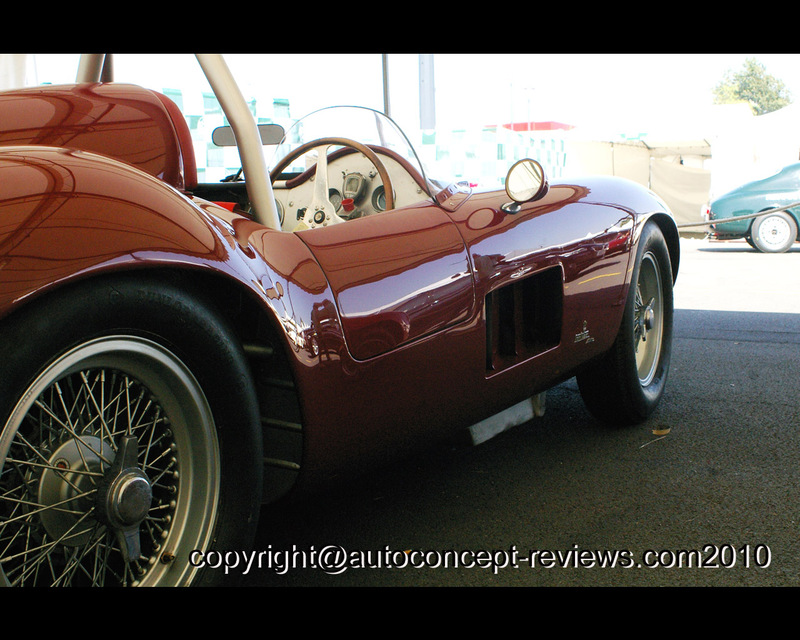 A tubular chassis along suspension from the A6GCS were improved and the coachwork was design by Fantuzzi. Between 1955 and 1959, 26 ewample of the 300 S were built. Some of the 300 S drivers were Valenzano, Perdisa, Musso, Musy, Gonzalez, Taruffi, Harry Schell and Jean Behra. An initial 3rd and 4th place at the opening 1955 Sebring 12 Hours was promising and showed the competitive potential of the Maserati 300 S, but Ferrari took the first place at the end of the season. In 1956, Maserati came back in 1956 with Stirling Moss as team leading driver but didn’t achieve better than previous season. In 1957 Juan Manuel Fangio backed up the team but the story ended as a sport failure (again behind Ferrari) and financial disaster leading to withdrawal from the Championship. 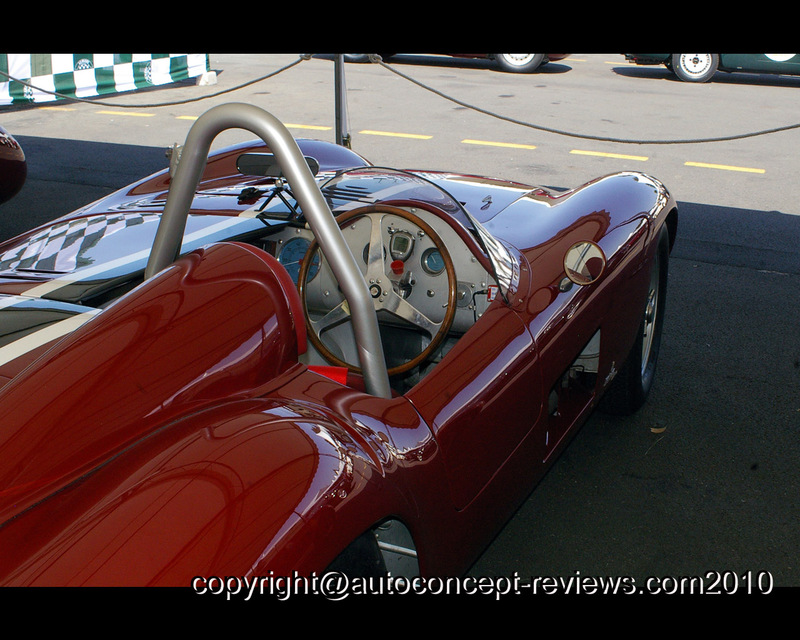 This particular car, the ex Scuderia Paravano 300 S 3058 Shortnose 1956, is one of the surviving 300 S model. Tony Parravano, an Italian born entrepreneur in California was one of the most important clien of Maserati, having purchased 150 S, 250 F, 300 S, 350 S and 450 S for drivers like Masten Gregory, McAfee, Bryan and Caroll Shelby. The 300 S 3058 was built for him. The beginning was successful with a second place overall in Palm Springs with Masten Gregory in December 1955, and again to third at the Nassau Trophy on the Bahamas the same month. One month later, Masten Gregory won on the Torrey Pines circuit, against driver such as Phil Hill in a Ferrari and a pack of Porsche 550 Spyder. In 1960, Parravano disappeared (supposedly due to illegal business practice) and all his cars moved to Mexico before returning to US in 1977. The Maserati 300 S Shortnose became part of the Japanese Hayashi Collection. Subsequent owners ioncluded Peter Rae and Brian Brunkhurst until 2002 when the car was purchased by actual owner. This car was exhibited by Lukas Hüni AG at Rétromobile 2009, Paris. Specifications: Engine: 6 cylinder twin camshaft 2992.5 cc with 245 HP.